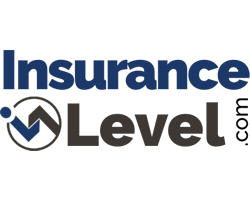 Insurance internship program with InsuranceLevel.com. Marketing and creative focus in one of our Buffalo area offices (Orchard Park, Lancaster) or via remote. Our internship program can be on site, in one of our Buffalo area offices (Orchard Park, NY and Lancaster, NY), or can be an off site internship program where you are able to contribute at your own pace from your location. We allow our interns to select an area of focus within the specific internship category. Based upon our experience (in insurance and on the Internet) we know that an intern will be much more productive if they are working an area that suites them best. Allowing this selection will provide more production and help an intern strengthen themselves in an area that can help to advance their skills where they see a need. Our insurance internship program is one that focuses on the online marketing of a financial services site. Marketing and content creation is the focus of our internship program with additional categories that include programming and database development. Our off-site internship program allows you to work at your own pace from your location while contributing to our organization. Our primary means of communication will be via e-mail and Skype. When working our program off-site, we will have a 30 minute call once per week. This call will help keep you on track and allow us to be sure you are accomplishing the goals of the program. Our on-site internship program can take place at either of our Buffalo offices, or you can elect to work from home and handle your weekly meeting at one of our office locations. When working on location, we ask for 5 hours per week. This can be done Monday through Friday between 9am and 5pm. We have a few areas that you can elect as your focus with this program. You do not need any insurance knowledge to be able to work with Insurance Level. In fact, we prefer interns who are fast learners and web savvy. We are currently offering the following areas of focus. In this area of focus we will be asking you to write, write, write. You will learn a great deal during the process since we will require you to create copy that is based on an insurance topic or coverage type. In addition to insurance specific copy, we can focus your topics with a geographic basis. We are always in need of unique creative that is geared toward a particular City or State. With more than 18,000 cities and towns across the U.S. you will not have difficulty selecting an area that hasn't already been completed. We are always in need of good design work. Our design work can be online or offline. Our graphic design intern will be asked to come up with eye-catching layouts for insurance quote forms, insurance landing pages and insurance ad copy that will tested in various markets online and off. At Insurance Level, we have some project ideas that require follow through, but can't take our focus away from our core operation. There are a number of programming projects that can be picked up for further development. We would ask that a developer intern have enough programming knowledge to pick up an existing project and work it to completion. The programming internship is probably the one area of focus where an intern can jump in right away and leave the program with developed skill set. We utilize the ColdFusion programming language and work with a variety of database formats including Microsoft SQL Server and MySQL. If you are interested in an internship program where you will have the freedom to pick a project area of focus that include insurance, content, creative, graphics, or programming, complete the form below. We will contact you with the next step in our process. Here is tip number one. Follow the instructions you receive once you receive our welcome e-mail. Are you looking to work from home or in one of our locations? Describe the area you would like to focus on.